Sony to Distribute I’m So Excited / It's Just Movies Sony to Distribute "I'm So Excited"
Sony Pictures Classics announced today that they have acquired all North American rights to Pedro Almodóvar’s new comedy, currently titled “I’m So Excited,” from El Deseo. 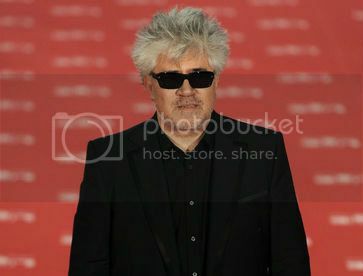 The film, an ensemble comedy written and directed by Almodóvar, is set to begin production in July and will be released next summer. The cast includes Javier Cámara, Cecilia Roth, Lola Dueñas, Raul Arévalo, Carlos Areces, Antonio de la Torre, Hugo Silva, Willy Toledo, Miguel Ángel Silvestre, Blanca Suárez, José Luis Torrijo, José María Yazpik, Laya Martí with special collaborations from Penélope Cruz, Antonio Banderas and Paz Vega.